Home / Fanboy Fail Fridays! • Paleyfest / Half Fanboy Fail Friday! 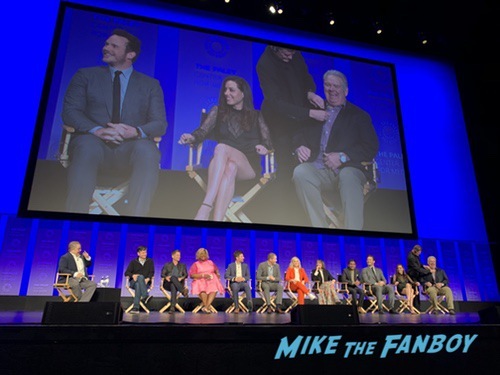 Parks and Recreation Paleyfest Panel! 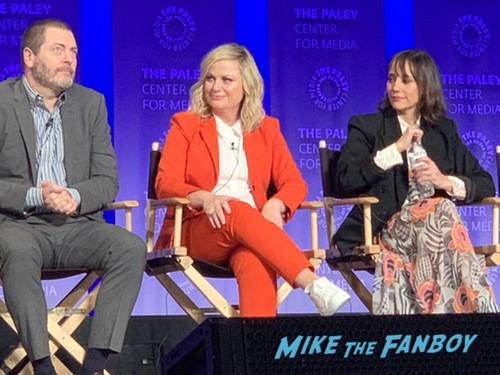 Amy Poehler Is nice… The Rest of the cast… Doh! Half Fanboy Fail Friday! 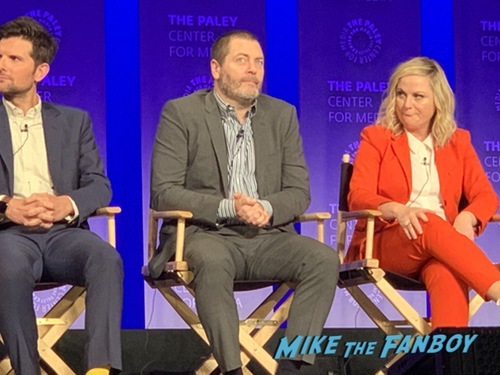 Parks and Recreation Paleyfest Panel! Amy Poehler Is nice… The Rest of the cast… Doh! I mean… Okay…. Its tough. 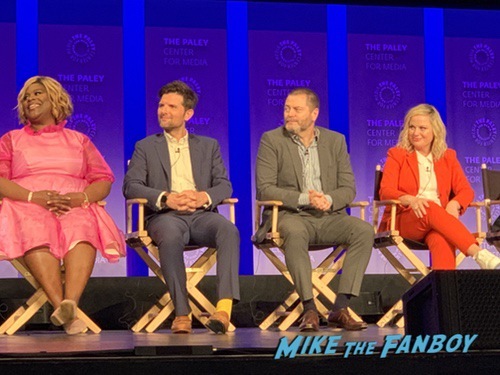 I went into the Parks and Rec Paleyfest panel with little to no inkling that the cast was going to be nice. This is traditionally one of the toughest casts in the world to get, some people. Cough, cough, Retta have been downright rude to me. Others, cough, cough, Nick Offerman have been nasty and other like Chris Pratt have been good. This is of course Pre-Jurassic Chris Pratt so there’s that. 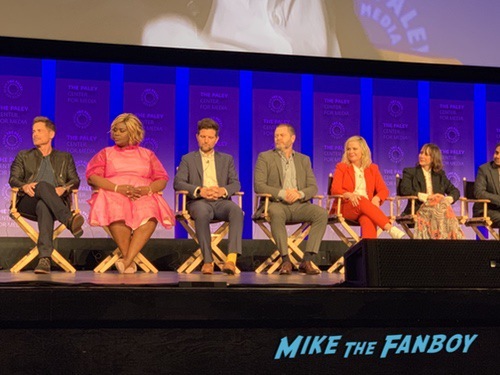 The panel was awesome, it was great to see the cast coming back again and being together. Amy Poehler was clearly moved that the entire Dolby theater was sold out to the rafters and people cared so much. She was visibly moved to tears which was really sweet. Rob Lowe was charming and funny. It was great to see Chris Pratt mutter to himself and rock band and forth every time Aubrey Plaza mention satan, which I think is partially why she does it. Heart her. Jim O’Heir was adorable and the joke about him not have a chair, was super on point. 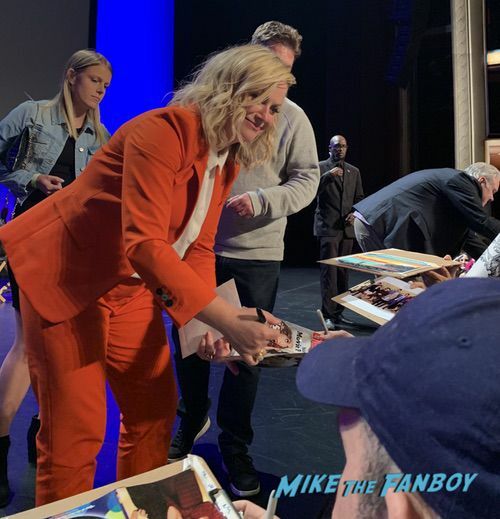 Now, the thing about Paleyfest is, traditionally the cast stays, signs autographs, does selfies, etc…. You see it all the time and I write about it all the time. Here, the cast walked right off pretty much. 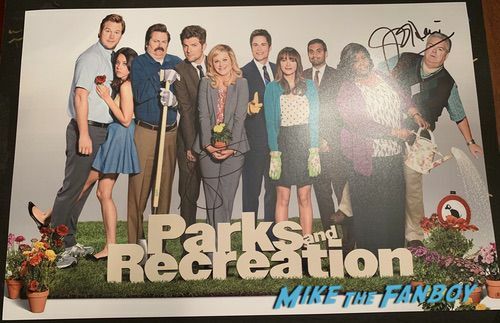 Nick Offerman wouldn’t give people the time of day, #Shock. Rob Lowe, Aziz Ansari, Aubrey Plaza just bolted. 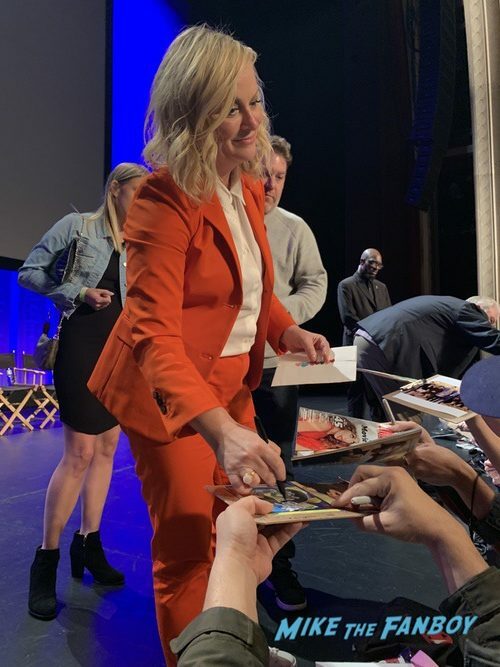 Amy Poehler on the other hand signed for everyone there. From one end of the stage to the other, which was very sweet. She even took time and listened as people talked about the show. It was super nice. 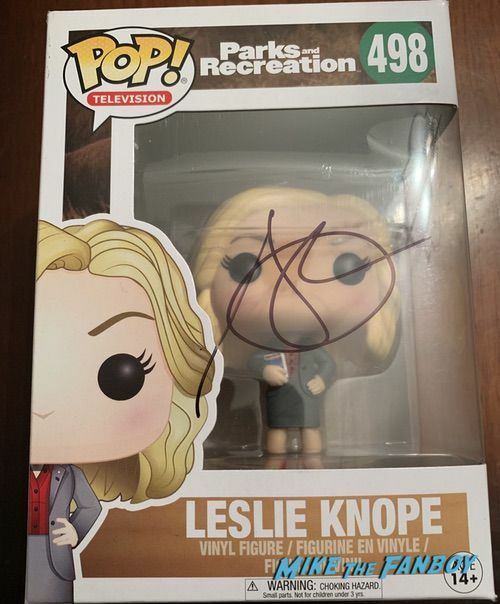 She signed my Funko Pop and a cast poster. Jim O’Heir was very nice and was the last cast member on the stage. So, two cast members out of nine… Yikes, not good. But, I’m happy to get the pop done, soooo… and It was a nice panel. So, I say… Half Fanboy Fail Friday! Fanboy Fail Friday! Trent Reznor Tells Two Of Us… “Go Away!” Damn… This One Hurt! Fanboy Fail Fridays! 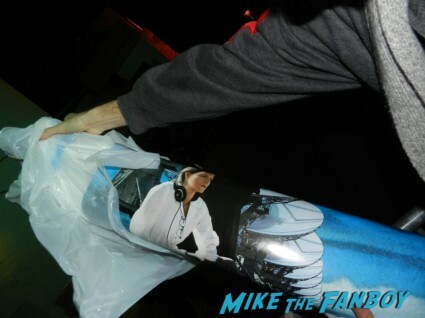 Big Mike Misses Harrison Ford Not Once But Twice IN ONE WEEK! Doh! A Million Fanboy Hearts Break! Fanboy Fail Friday! Atlanta FYC Event! AKA Donald Glover Runs Off Stage Faster Than The Millennium Falcon Can Fly! Punch It Into Hyper-Drive Chewie!